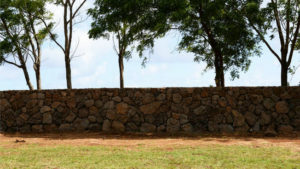 News Item: Mark Zuckerberg builds a 6-foot wall on his 1150-acre Hawaiian estate, much to the annoyance of neighbors. It seems that ultra-billionaire Mark Zuckerberg wants two things. Privacy and space. Lots of space. 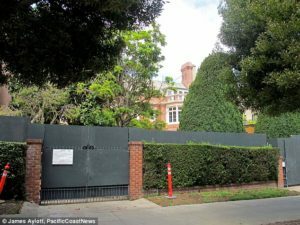 His Hawaiin digs for example, now consist of 1150 acres, protected in part by a tall ugly wall. Funny thing though. Mr. Zuckerberg doesn’t want to accord the same right to other Americans. No, the great unwashed must be made to bear the brunt of the mass importation of cheap labour via illegal migrants, guest workers, blanket amnesties and increased quotas for legal immigration. In short, he effectively wants to double the population growth rate of the United States. By mid-century Zuckerberg’s America will have over 450,000,000 souls, or shall we say, human sardines stuffed into one can. In other words, he wants to lower the population density behind his wall, but increase it for those who must live outside of it. In fact, he doesn’t want other Americans to have a wall of any kind. He wants other Americans to live with cut-throat labour competition, higher housing costs, over burdened social services, more congestion, more pollution, more crime and a crumbling infrastructure that cannot keep pace with the demands of immigration-driven population growth. 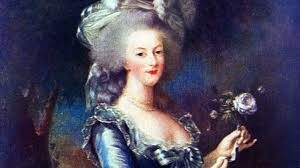 In so many words, Zuckerberg’s message is this: Let them eat cake. It takes courage to choose hope over fear. People will always call you naive, but it’s this hope and optimism that’s behind every important step forward. Instead of building walls we can help build bridges. Instead of dividing people we can connect people. We do it one person at a time, one connection at time. That’s why I think the work we’re doing together is more important than it has even been before. Moreover, like Green, Zuckerberg has no compunction about playing the race card against anyone who dares oppose this agenda and the multi-million dollar campaign to push it. His are very much the same kind of tactics employed by one of his beneficiaries, the fake-green flagship of counterfeit environmentalism, the Sierra Club, whose leaders turned to the Southern Poverty Law Center to do the dirty work of smearing its internal opponents in the battle over immigration policy. the small minority of anti-immigrant group reflexively opposed to any attempt to fix our broken immigration system….. [their] hateful rhetoric, extreme views, and blatant falsehoods—including ties to white supremacists and an argument that Hispanic families lack strong family values that these organizations spout to argue against critically needed reforms. Apparently no one ever told Mr. Zuckerberg that those who live in glass houses should not throw stones. Two can play his game. If he is going to play the race card, so can we. If he is going to invoke pride in his Jewish heritage and his Jewish parentage to justify putting out the welcome mat to Muslims who wish to use Facebook (December 19, 2015; see Wikipedia), then we too can examine just what this Jewish heritage is. We can discuss the Jewish role in the promotion of Green-Left globalist ideology. Take Canada for instance. Three major players in Canada’s Leftist election document of October 2015, the so-called “Leap Manifesto,” were neo-Marxist international superstar Naomi Klein and her brother Seth at The Canadian Centre for Policy Alternatives, Canada’s Vancouver-based left wing think tank. Naomi Klein’s Jewish husband Avi Lewis was also a driving force. Yes, all three are Jews. Why is this relevant? It is relevant because Jewish culture in the Diaspora in the West (but not Israel) is permeated with an open-borders mentality. Even secular Jews like the Kleins and Zuckerberg have inherited a bias that stretches back to the Exodus. Jews are a people who have been driven from one land to another, and understandably, they have had a vested interest in keeping the doors open. This was Jewish billionaire David Gelbaum’s rationale for threatening to withhold his massive donations to the Sierra Club if it restored its longstanding pre-1996 policy to promote population stabilization for the United States through immigration controls. Thus far, he has contributed over $200 million to the Sierra Club. Gelbaum’s refugee Russian-Jewish grandparents were able to find a haven in the United States, he felt it his moral obligation to allow other refugees the same escape hatch. Jewish leadership is decidedly pro-immigration and pro-diversity. Why diversity? Jews have never been more vulnerable that when they lived in societies controlled by one dominant ethnic bloc. Ethnic homogeneity made them feel antsy. Ethno-nationalism for non-Jews posed a threat. So the game plan in America was to swamp the country with non-Whites and pathologize any sense of White ethnic/racial identity. The agenda of cultural diversity through mass immigration served that goal perfectly—as did the promotion of cultural relativism (aka Cultural Marxism) in the universities, colleges, and in movies and documentaries. Hollywood has played a significant role in shaping American culture and undermining cultural norms (here, p. xlvi ff). And as Marlon Brando famously observed, Hollywood is largely a Jewish domain. So notwithstanding the decisive lobbying role of the American Jewish Committee and a wide range of Jewish organizations in pressuring the passage of the disastrous Immigration reforms of 1965—a fork in the road toward the demographic demolition of America’s ethnic profile—I don’t think in terms of a Jewish ‘Conspiracy ‘or a cabal of Jews working behind the scenes to eradicate European-based culture. Instead, I think in terms of a centuries-long tribal mentality that still runs like a current through Jewish diasporas, and manifests itself in certain political stands. Even secular Jews like Naomi Klein and Zuckerberg, if only subconsciously, are guided by this underlying bias in favor of unfettered migration which they frame as sympathy for “The Other,” kindness to strangers, and the Biblical injunction to be hospitable to them . Seen in this light, Mark Zuckerberg is a quintessential Jewish Social Justice Warrior — the carrier of a flame that was ignited long ago. To secure his “space” and security, he is willing to apply a wrecking ball to what remains of a cohesive America, while hiding behind the safety of his walls. He is the Barbara Spectre of the United States. A modern day Marie Antoinette whose callously indifferent attitude toward the interests of ordinary working Americans is disguised by his seemingly philanthropic mission to “help” them. If only his reach did not extend beyond his fortress.